Rudolf Schlichter was a politically committed artist. 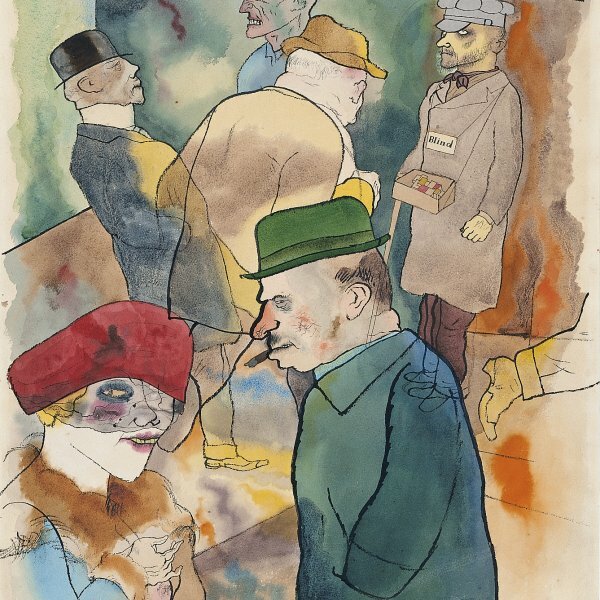 When he went to live in Berlin in 1919 he came into contact with George Grosz and John Heartfield and joined the Berlin Dadaist group. Similarly, in 1924 he was one of the founders of the so-called Rote Gruppe (Red Group), an association of communist artists. Like many German artists of his generation, Schlichter evolved from the most radical Dadaism to a very marked realism within the Neue Sachlichkeit (New Objectivity) and in 1925 was included by Gustav Hartlaub in the movement’s show at the Kunsthalle Mannheim. 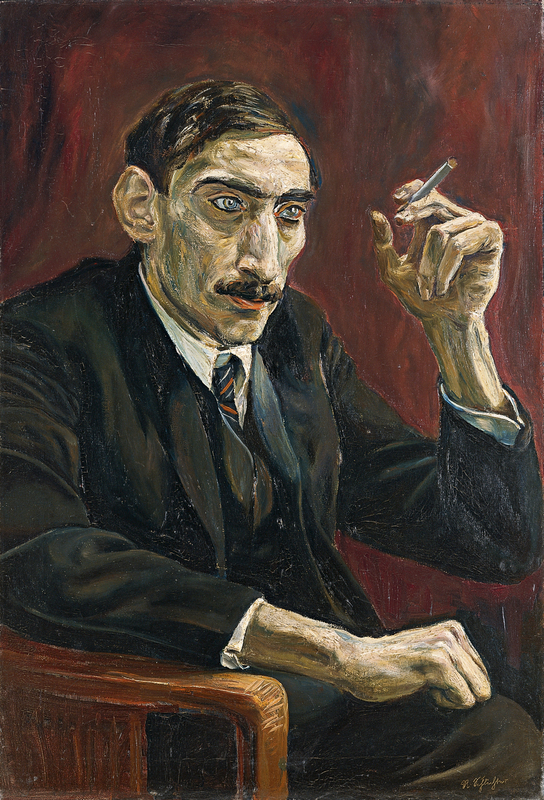 He left Berlin in 1932 and in 1937 his work was displayed in the Entartete Kunst (Degenerate Art) exhibition and he was convicted of being a Jew and a communist. Most of Schlichter’s paintings from the 1920s are portraits. The present Portrait of an Oriental Journalist, most likely executed between 1923 and 1924, epitomises his realist style of painting. The pensive air of the unknown subject, engrossed in his thoughts while smoking a cigarette, and the somewhat diluted medium denote the lingering presence of an Expressionist language, which Schlichter uses to capture the sitter’s psychology.